Mike Thomsen and some of his Collection. Mike Thomsen approaches his title as the No. 1 autograph collector of Indy 500 drivers with an admonition. You see, Thomsen’s 594 signatures only became the largest publicly known collection when the previous leader, Dr. Harlen Hunter, started auctioning off the 597 signatures he had last year. 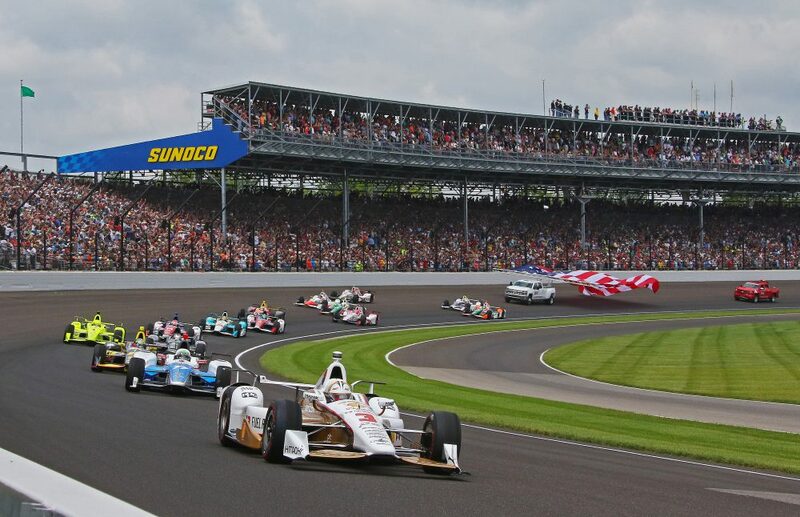 Thomsen already belongs to “The 500 Club,” a self-appointed tag pinned to the highest-end collectors who have amassed autographs from at least 500 of the 758 starting drivers to have ever competed in the Indianapolis 500. To his knowledge, Thomsen is one of just seven collectors in the world to eclipse 500. As far as anyone can tell, he would also be the first to reach 600 — though, he admits, there could be others “flying under the radar” elsewhere in the world. Otherwise, Thomsen knows most big-time 500 collectors and considers several to be close friends after working together over the years. For those he knows best, he tries to keep their “want lists” handy so that if he comes across a piece already in his collection that another collector needs, he can pass along the details. A cutthroat approach never suited Thomsen. For him, forming connections and friendships, and sharing his knowledge has always been part of the fun. Whenever he can, Thomsen stresses to new collectors the value of strong networking with previous generations, if simply for the invaluable knowledge veterans can pass along from their experiences. Thomsen still credits much of his success as an established collector to his personal mentor, Jack Mackenzie, former caretaker of the Borg-Warner Trophy. As Mackenzie once told him, the biggest mistake new collectors make is trying to do too much. That’s to say, trying to collect every program, pit badge, autograph and everything in between. So, Thomsen focused exclusively on being the top guy in driver autographs. Veterans can also educate newcomers on the factors that make certain pieces more valuable: condition and quality, supply and demand, popularity of the driver. Without help, rookies might unknowingly pay more for a common autograph or pass up a lesser-known driver’s signature without realizing its value. Mackenzie and Hunter, a retired orthopedic surgeon from Bedford, would be what Thomsen considers first-generation 500 collectors: people who spent time in the '70s and '80s building collections of autographed memorabilia ranging from programs and pennants to old autograph books. “It was the time to get those guys from the '30s, '40s, '50s before they died,” Hunter said. When it came to hunting down missing pieces, Hunter avoided websites like eBay for issues of authenticity. He recalls once seeing a listing that claimed to have the ballpoint pen of Gaston Chevrolet, who won the 1920 race and died in November of that year. Modern ballpoint pen designs, like the one in the listing, weren’t made commercially available until the 1940s. This photo is of Ralph Mulford, the second place winner of the first Indy 500 race. Instead, Hunter cut out the middleman and purchased official documents that guaranteed authenticity, such as track licenses, check or entry forms that already contained drivers’ signatures. Or he would seek out drivers’ addresses and personally mail them memorabilia to sign. Indy 500 drivers' autographs and photos. At 13, Thomsen discovered a similar sentiment when he wrote John Paul Jr. asking to have a photograph signed shortly after seeing him win the 1983 Michigan 500. Not only did Paul Jr. sign the photo, he also hand wrote Thomsen a two-page letter in appreciation of his interest. Oftentimes, seeking out the lore and history of 500 drivers matters more to collectors than the monetary payoff. Thomsen and collectors like him want to downplay the money involved — though some rarer autographs have been sold for upward of $1,500. For Thomsen and most serious collectors, though, nothing quite compares to getting a new autograph and calling up friends to learn more about who the driver was. Mike Thomsen (594), Avon, Ind. Stu Slifkin (564), Murrells Inlet, S.C.
Dr. Allen Hanson (553), Centuria, Wis.
Jim Vogel (513), Knightstown, Ind. 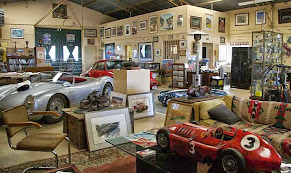 If you collect autographs, at l'art et l'automobile, we have a good selection of photographs, prints, trophies, paintings, programs and other memorabilia that have been autographed by some of the most successful drivers, team owners, manufacturers and famous celebrities of the 20th century. Enjoy looking through our collection and tell us which ones you would like to own. Please Tour the gallery at arteauto.com, and perhaps add a piece to your collection.